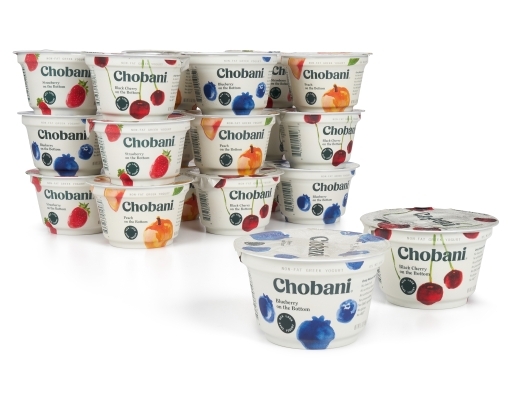 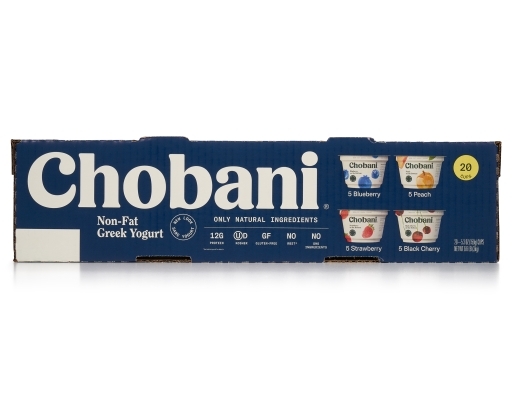 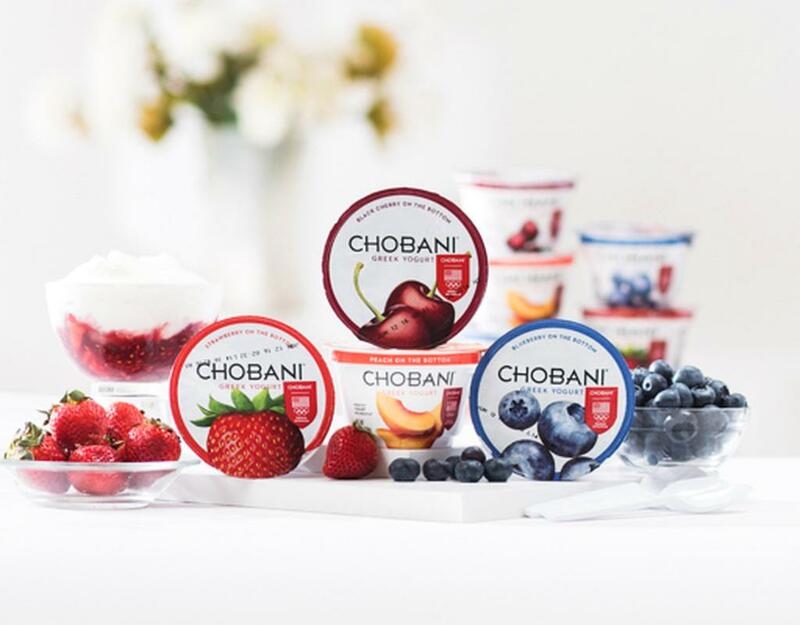 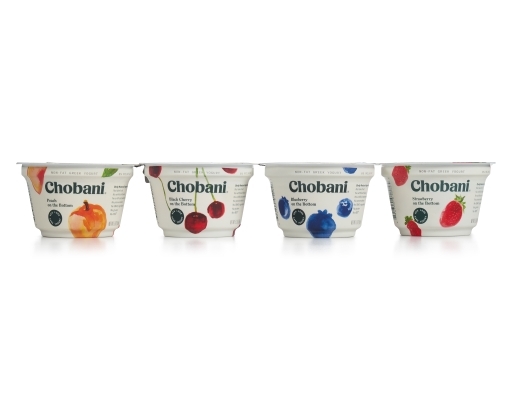 Delicious yogurt built on a foundation of real fruit. 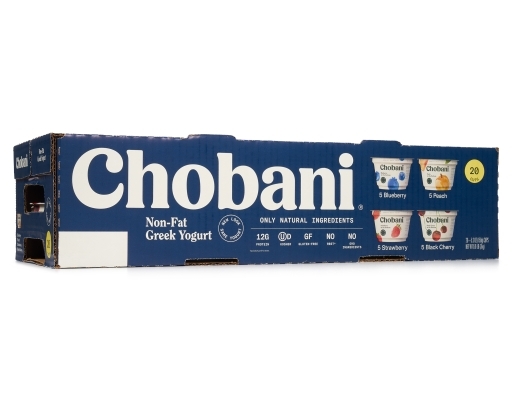 Strawberry Ingredients: Nonfat Yogurt (Cultured Pasteurized Nonfat Milk, Live and Active Cultures: S. Thermophilus, L. Bulgaricus, L. Acidophilus, Bifidus and L. Casei), Strawberries, Evaporated Cane Juice, Pectin, Natural Flavors, Locust Bean Gum, Fruit and Vegetable Juice Concentrate (For Color). 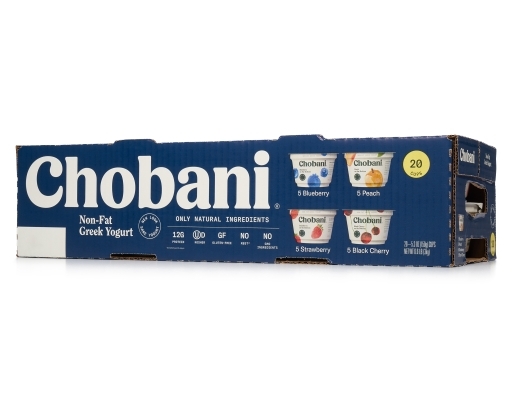 Blueberry Ingredients: Nonfat Yogurt (Cultured Pasteurized Nonfat Milk, Live and Active Cultures: S. Thermophilus, L. Bulgaricus, L. Acidophilus, Bifidus and L. Casei), Blueberries, Evaporated Cane Juice, Pectin, Locust Bean Gum, Natural Flavor. Peach Ingredients: Nonfat Yogurt (Cultured Pasteurized Nonfat Milk, Live and Active Cultures: S. Thermophilus, L. Bulgaricus, L. Acidophilus, Bifidus and L. Casei), Peaches, Evaporated Cane Juice, Pectin, Locust Bean Gum, Natural Flavor.